costing, replacing a roof is actually much cheaper to go with a metal roof system than it is to go with a traditional asphalt shingle roof. Simply because they are one and done...you nor the next person who lives in your home will ever have to replace it....so maybe it's a bit higher...but in the long run the cost, pain of replacing is much, much less! Plus! 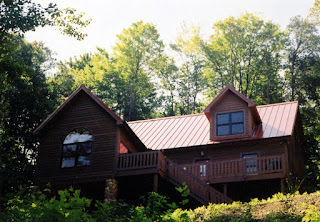 Metal roofs offer great energy savings too. Metal roofs reflect the heat away to make your attic space cooler, reduce your energy use in the summertime, and will increase the value of your home, in most all cases, up to 80 percent of the initial cost of the investment - if not ALL the investment can be recouped.